Night brace for the misalignment of the big toe. It is made of thermoplastic material with soft lining and velcro closure. 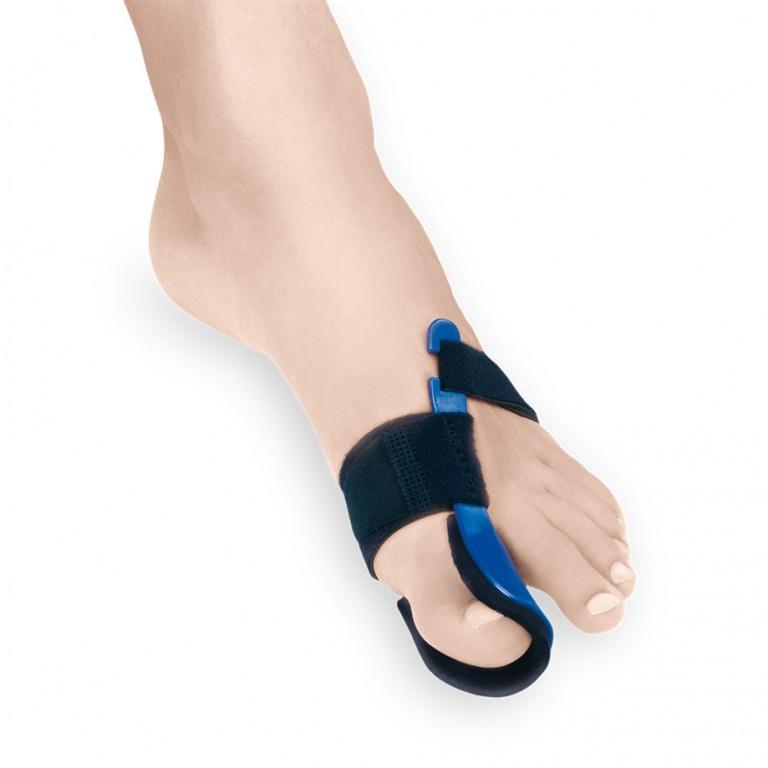 The cushion on the big toe along with the pressure strap at the joint achieve the alignment of the metatarsals.